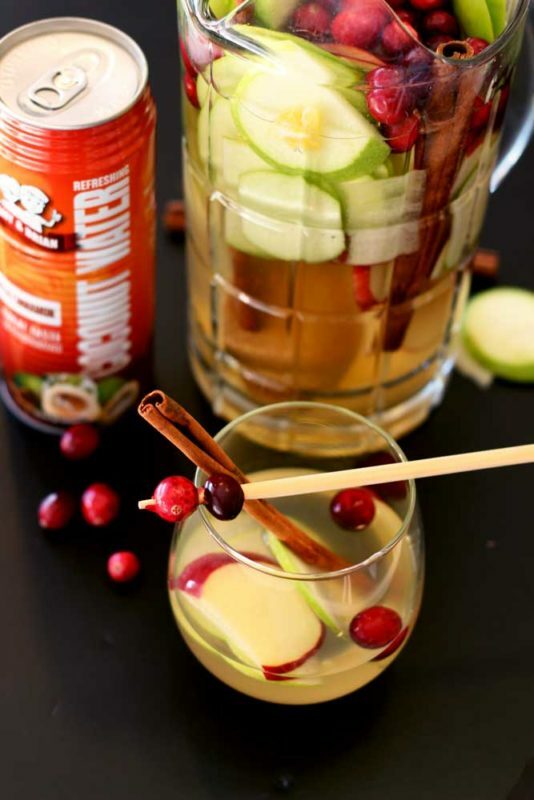 I love this twist on the traditional Sangria. Love coconut and Cinnamon too! And it looks so festive. Can’t wait to try it. I know! that combination is just AMAZING! I’ve had flavored coconut water before but the Cinnamon is just amazing! Perfect for this time of year!! So festive!! Love this. I’ve been googling Sangria recipes so this has come at just the right time. Fresh cranberries are pretty hard to find in Australia so I might substitute something like cherries or raspberries for colour? HI!! So – if you can’t find cranberries….use raspberries! I guarantee they would taste amazing in this beverage!! YES! 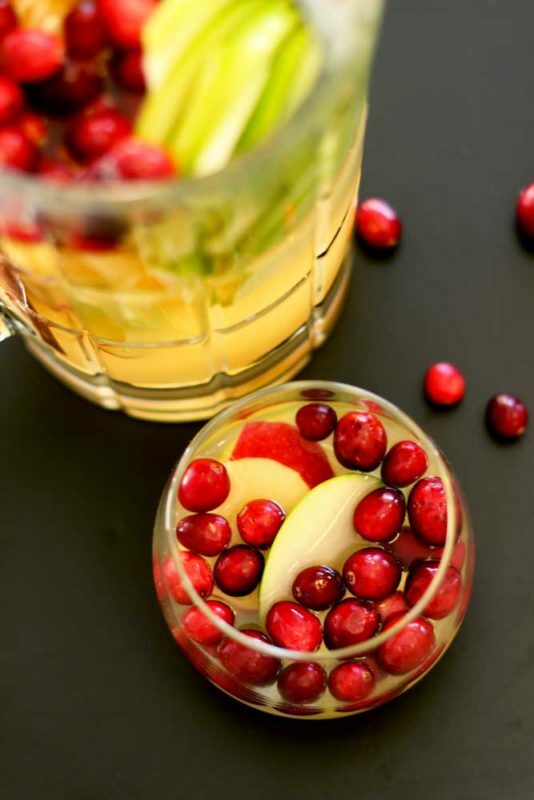 A wonderful winter white sangria – it adds the perfect taste!! Love coconut water and always looking for brands that are 100% natural. 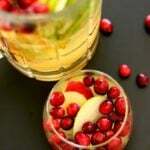 This white sangria sounds absolutely lovely! Thanks! 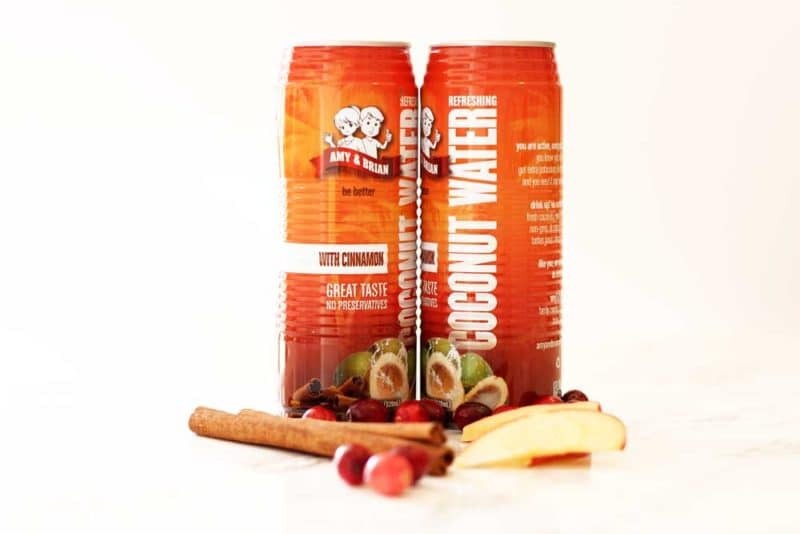 Yes – LOVE their brand of coconut water!! Definately try it….so organic and natural! This sangria looks fab. I’m with you sangria is a year round thing for me and not just a summer cocktail. Yes!! Yeah to year round drinks! I definitely wouldn’t mind drinking this to quench my thirst. This is so good! I bookmark! Thank you! Looks delicious and healthy! Thanks for sharing. WOW what a delicious drink! I never would have thought to use flavored coconut water… that is genius! Saving this for my next holiday party! That cinnamon and the coconut add such a subtle taste to it…it’s absolutely fantastic! Cheers! 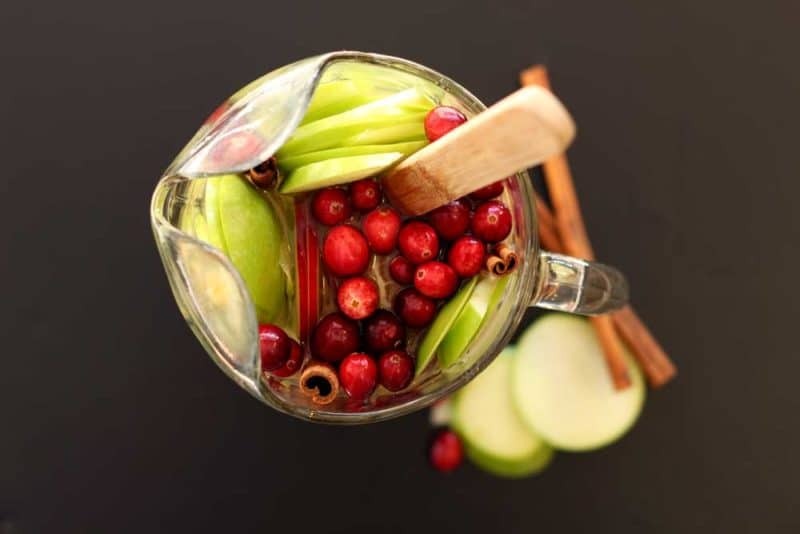 Sangria is perfect for the holidays! Coconut is a bonus. Love it. Great recipe!